If you are like most of the telco companies we talk to, billing is a huge challenge. It's also one of the most crucial aspects of any business. If you can't send invoices out to customers, you won't get paid. If you're not charging enough for your services, you lose money. We have spoken with service providers of all sizes in an effort to learn more about common billing pain points and frustrations. Based on their feedback, here are some of the top reasons telcos look for a new billing software vendor. Automatic Inbound Email Tickets Do you currently receive your support requests via an email address such as support@company.com? 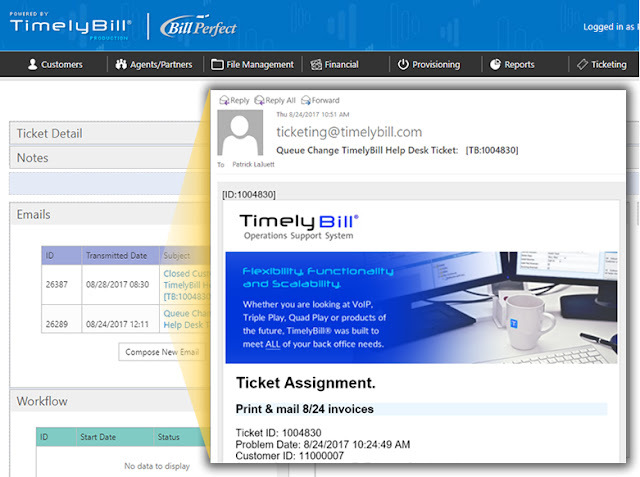 TimelyBill can convert incoming email from customers into uniquely identifiable tickets, and route them directly into our operations support system.